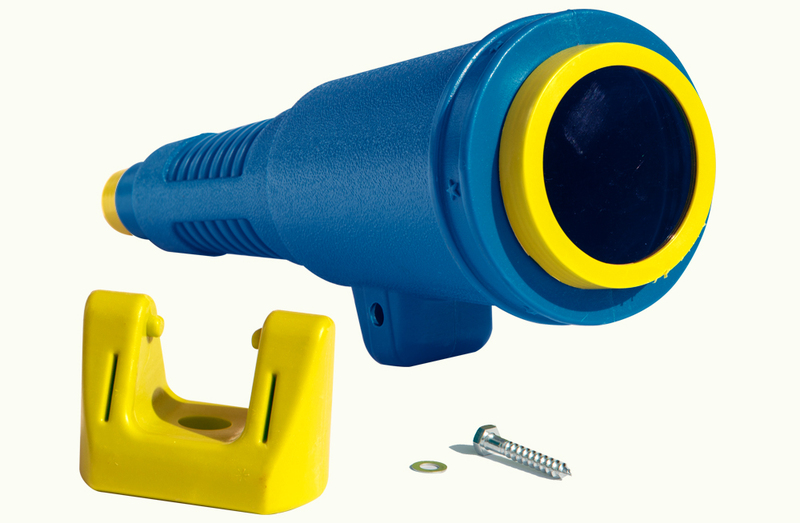 This oversized blue telescope offers your child the fun of exploring his or her surroundings from the comfort of a swing set. 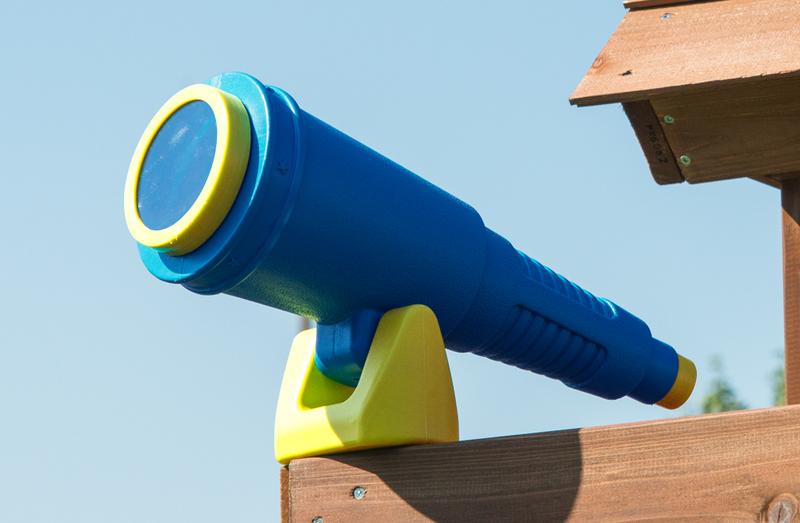 Mount these binoculars to your child's swing set and introduce him or her to the world of outdoor imagination. Easily attaches to the play deck's railing. It comes complete with all hardware and everything needed for installation. Even better, this product’s classic design and friendly blue tone add a dash of bright whimsy to your backyard; now, your home can be the height of fun, and look great – all at the same time.